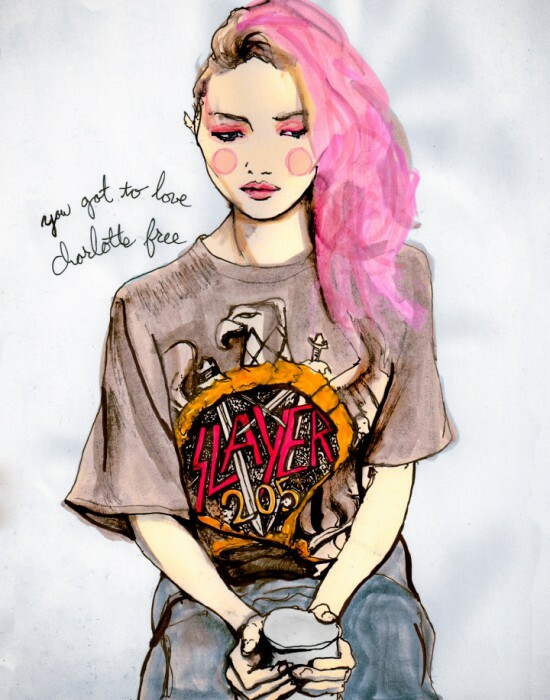 Charlotte Free, is a American fashion model. She is known for her pink hair. She has been Featured in our Character Sketchbook Series. She is currently represented by IMG Models.